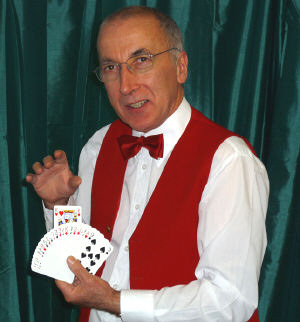 Peter is a professional magician with forty five years of experience as a magical entertainer. His performances are suitable for all ages and he can provide good clean family fun for any event large or small. He can provide magical entertainment for corporate functions, trade shows and hospitality suites. His sophisticated magic can ensure that your clients remember your event with pleasure. Peter has performed and lectured for The Magic Circle in London, The International Brotherhood of Magicians and several times he has been a star lecturer and performer for The Fellowship of Christian Magicians.